I have been using this phone for a month now and the performance and feel is simply outstanding. However, the video and camera quality is not up to the mark. Overall, It is a safe bet in this price range. One of the best phone by Motorola in terms of quality but bit overpriced. Dual camera works like a charm. The phone is really amazing.The Moto X4 6GB edition performs just as solidly as the 4GB version, and Android Oreo adds some nice polish to an already smooth UI.Gorgeous looking metal and glass build - it&apos;s high-end style at a reasonable price.It has perfect value for money. 8 Pricebaba users have written their experience with Motorola X4 64GB. 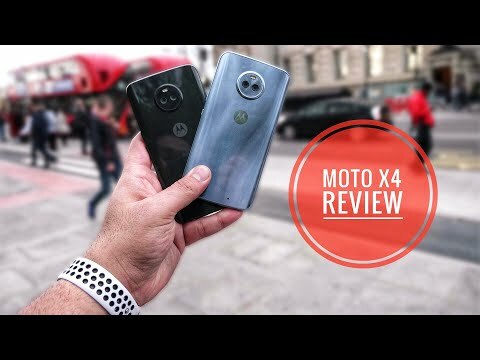 If you own Motorola X4 64GB, please do leave your feedback too. Lowest price of Motorola X4 64GB price in India starts at Rs. 11,652 Motorola X4 64GB is available on Amazon at Rs. 11,652. Prices updated on 22nd April 2019. The Moto X4 is build up of metal unibody. It sports a glass design on front & the back. The metal adds durability to the phone. The screen measures 5.2-inch and it has a resolution of 1920 x 1080 pixels. Moto has added Corning Gorilla Glass for protection against accidental damage & scratches. The front of the phone houses capacitive buttons, sensors, front camera & a fingerprint sensor. The Moto X4 is also IP68 certified dust & water resistant. It has a 3.5mm headphone jack & comes in Super black & Sterling blue colors. In photography department, the Moto X4 is equipped with dual rear cameras. One is a 12MP autofocus sensor with f/2.0 & the other is 8MP ultra wide angle sensor with f/2.2. Both rear cameras are accompanied by PDAF & dual tone LED flash. The camera includes host of features like professional mode, depth detection, selective focus & wide angle shot. For selfie enthusiasts, Moto has added a 16MP camera with f/2.0 aperture accompanied by selfie flash. It also offers a 4MP adaptive low light mode along with beautification mode. The rear camera lets the user to record 4K videos. Under the hood, the Moto X4 houses an octa-core Qualcomm Snapdragon 630 chipset. It packs a massive 4GB of RAM along with Adreno 508 graphics processor. The hardware is powerful and lets the user experience smooth performance with seamless multitasking. The device comes with 64GB inbuilt internal storage along with microSD card slot support up to 2TB. The X4 runs on Android 8.0 Oreo out of the box. The Moto X4 is powered by a non-removable 3000mAh battery capacity. The company has added fast charging feature but lacks wireless charging. It is a dual sim phone and supports nano sim type. Connectivity options on the phone include 4G LTE, 3G, 2G, WIFi, Bluetooth, NFC, & VoLTE. 1.Will this phone work with Reliance Jio network? Ans: Yes, Hybrid slot lets you insert two sims or one sim + microSD card. Ans: There is a 16MP front camera accompanied by LED flash for selfie enthusiasts. Ans: The X4 uses USB Type-C for data syncing & charging like most of the latest smartphones.